If there weren’t already enough good reasons to legalize pot, the discovery that marijuana may have the medical potential to cure people from debilitating illnesses, as the following inspirational stories suggest, may prove to be the most convincing argument yet. Weed Geek reveals the heart-felt triumphs of those who claim medical marijuana miraculously saved their lives. Rick Simpson is known for inventing hemp-oil medicine that he claims treated his own skin cancer after he was a ‘chemical zombie’ from all the drugs he had taken as a cancer sufferer. After curing himself and hundreds of others with his canabis oil, Rick tried to take his medicine to Canadian authorities. However, the move backfired and the authorities tried to prosecute him. Today, Rick is considered a hero in the medical marijuana world with a huge following of believers. Watch his documentary, ‘ Run From The Cure’ and see for yourself. A sufferer of Crohn’s Disease for eight years, Shona was bedridden and could only walk with a cane. Diagnosed as terminally ill, Shona decided to explore alternative remedies in a last bid to save her life. Shona saw Rick Simpson’s video and began to treat herself with cannabis oil and voila! She is now considered cured and has a normal life. She subsequently wrote a book, ‘ Live Free or Die,’ detailing the weed experience that saved her life. Six-year-old Charlotte is the miniature miracle who suffered from an untreatable form of epilepsy and used medical marijuana to cure herself. By the time she was two years old her parents had literally tried all medications to cure her – some which nearly ended in her demise. Enduring some 50 seizures a night, her parents managed to get her a medical marijuana card in Colorado. After her first dose of high CBD oil her seizures immediately stopped, her parents claim. She emerged out of her catatonic state and her parents got to meet her for the first time. Charlotte has since featured on a CNN documentary, documenting her miraculous story. 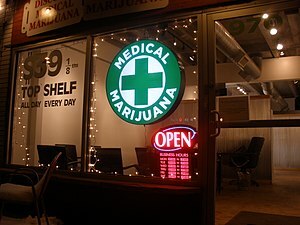 via 8 Miraculous Medical Marijuana Survival Stories | Alternet. This entry was posted in News from the Soul Brother and tagged Cannabis, health, Hemp oil, Medical cannabis, medicine. Bookmark the permalink.